The ZürichCARD is a cheap transportation travel card and sightseeing savings pass that allows visitors to save money when visiting Zurich in Switzerland. Visitors to the lovely but very expensive Swiss city Zurich can enjoy big savings on transportation tickets and admission fees to top sights by using the Zürich Card. The Zürich Card is a transportation travel card and savings pass that gives travelers unlimited access to public transportation, free admission to almost 40 museums, and discounts on further sights and meals. The Zürich Card easily pays for itself. Zurich has one of the best public transportation systems in the world. Individual tickets can be expensive but a day pass easily pays for itself when taking more than two rides. The Zürich Card allows for unlimited access to Zurich’s public transportation network in the larger Zurich metropolitan area. The Zürich Card includes amongst others all transportation in Zone 10 (most of Zurich city) as well as Zone 21 (which includes Zurich Airport) and excursions to the Uetliberg. Zurich has a large number of museums with 39 giving free admission to visitors with the Zürich Card – some temporary exhibitions may require additional tickets. Zurich’s museums range from the Swiss National Museum (Landesmuseum) (CHF10) to more specialized institutions such as the Thomas Mann Archive (free), the North American Native Museum (CHF12), and the Museum of Medical History (free). Zurich has a large number of art museums and galleries with modern art and modern design particularly popular. The Zürich Card gives free admission to amongst others the Kunsthalle Zürich (CHF8), Kunsthaus Zürich (CHF14), Migros Museum for Contemporary Art (CHF8), Architecture Forum Zürich, and the Museum of Design Zürich (CHF9). The main savings for users of the Zürich Card are for public transportation and museum admission fees. However, the card gives small discounts on further attractions, shopping, and restaurants. 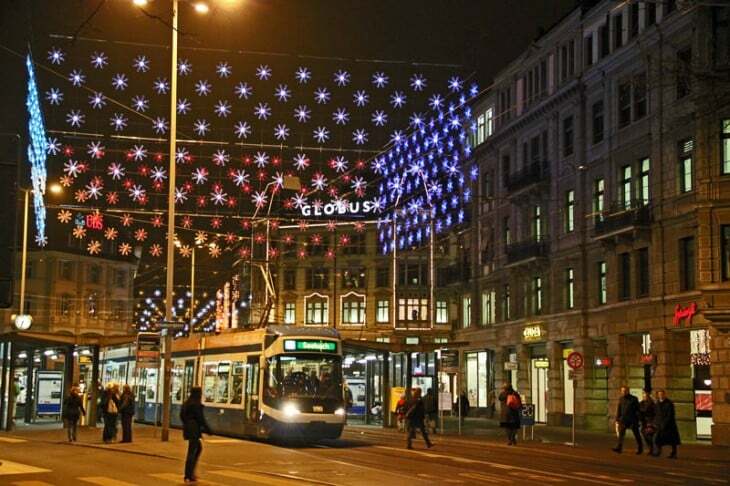 The Zürich Card gives 10% discount on shopping in a few high-end shops and reductions on some items bought from the Zurich tourist information office. It also gives savings or free courses in some restaurants, which include several well-known establishments such as Haus Hilti (the oldest vegetarian restaurant in Europe), Blindekuh, Rôtisserie in Hotel Storchen, and Zunfthaus zur Waag. The Zürich Card also gives reduced admission to several sights and clubs and free admission to a few nightclubs. Travelers with time to spare may visit the observation desk at Zurich Airport for free. The Zürich Card is available in 24-hour and 72-hour versions, costing CHF24 and CHF48 respectively. Children 6 to 16 pay CHF16 and CHF32 but as many attractions are free for children anyway, a simple transportation card (or Swiss Railways’ Junior Card) may often be the better option. Similarly bearers of the Swiss Museum Pass may also do better with just a transportation day ticket. The Zürich Card is available from the tourist information offices, Zurich Airport, most train stations and boat piers with ticket windows, and many hotels in the Zurich region.